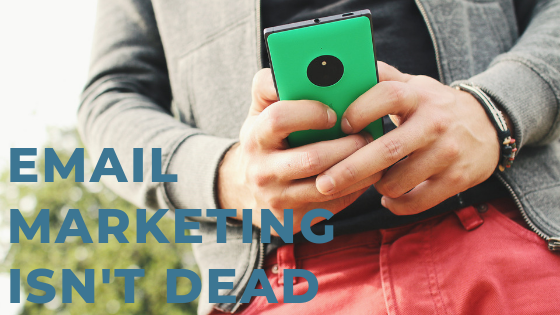 Email marketing is dead, they said. Social media marketing is the only way to go, they said. But they are wrong. If your goal is to increase brand awareness, gain new leads, and grow your business, you don’t want to ignore email marketing. When battling head to head, email marketing is more effective than social media. According to a consumer report, the vast majority of consumers prefer brands to communicate with them through email. The lovely thing about email marketing is that it is dirt cheap! But people get tons of emails every day, you say. Yes, this is true. But if you want to get the best reach, don’t ignore email. People are checking their email up to ten times per day, and consumers feel that brands are sending them relevant email. So, if you want to stay top of mind, craft well thought out marketing messages through email that educate and inform and are relevant to your target audience. That brings us to how to email contacts effectively. Instead of blasting every person on your contact list with the same message, segment your email lists by interest. This will help you ensure the right people get the right message, which dramatically increases your open and click rates. Going back to reach, have you compared the reach you have with social media versus what you have with email marketing? Facebook is huge. Like 2.32 billion huge. But how many of those are fans and followers of your page? Now, how many contacts do you have in your email list? Depending on the type of business you have, chances are you have more email contacts than fans. But that doesn’t mean much. Not everyone opens your email, and Facebook’s algorithm doesn’t allow your posts to be seen by every follower. It is more accurate to compare how many people on average open your emails versus your engagement rates on social media. According to MailChimp, the average open rate for industries analyzed was 20.81 percent. This means that just under 20% of your email list will open your mail. That is not too shabby. Facebook organic reach for posts is quite small – roughly 2-6.5 percent per fan. So if you have 1000 followers, around 65 (on the high end) are seeing what you post organically. Now we love social media marketing and feel it is an incredible marketing tool. The point though is that you should never put all of your eggs in one basket. Use email as a communication tool to regularly provide people with timely and informative content that is targeted to the unique interests of your audience.